What is Geospatial Analysis online? Who is Geospatial Analysis for? "Written in an engaging and accessible manner, this book does a marvelous job of balancing its coverage on principles, techniques, and software tools for spatial analysis. ... 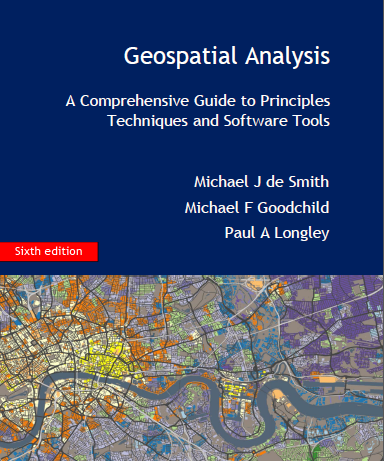 It is truly a tour de force of geospatial analysis and is likely to become a classic ...I would highly recommend this book to anyone who is interested in learning about the latest developments in geospatial analysis and modeling."